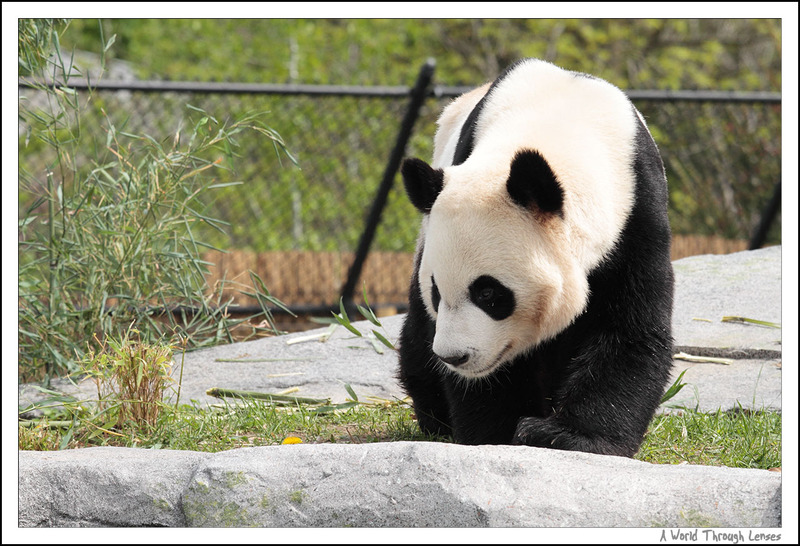 The line up for the panda exhibit is very very long. Consider this is a members only event today, I can just imagine how long the line up will be when it is open to the public. We booked the 10:30 time slot, however, the line ups are so long that people from previous time slots did not get in yet even though we are late and we went in as the last of the 10:30 group. 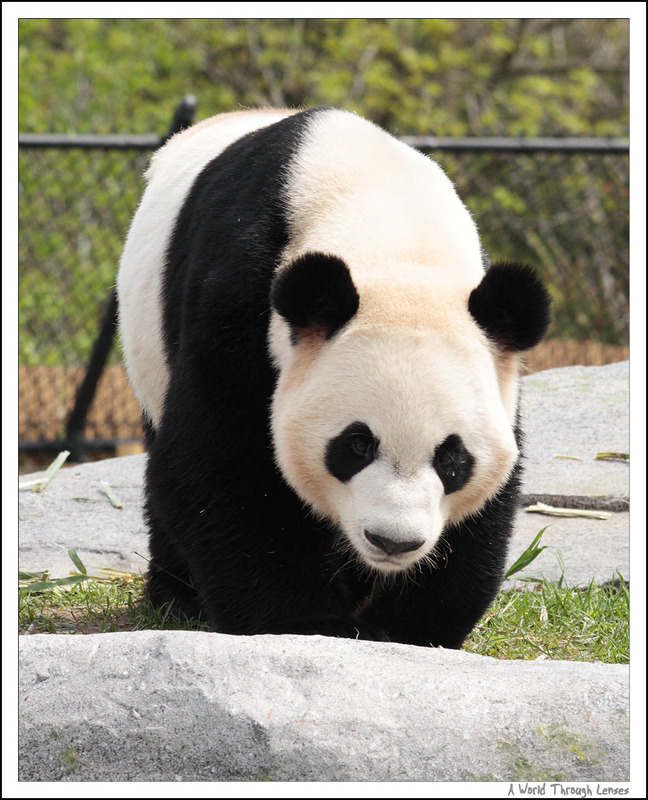 We had to waited almost an hour before we get to see the pandas. 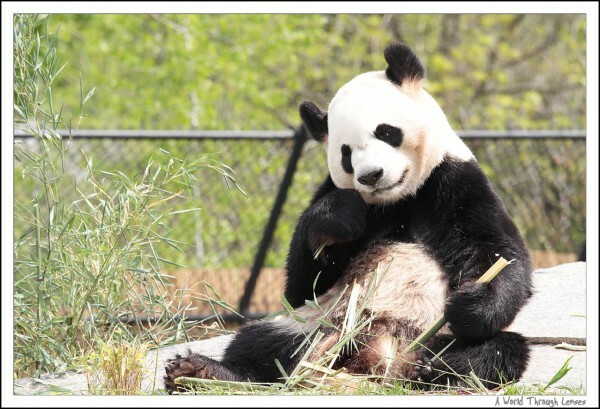 The female panda Er Shun is very shy apparently and doesn’t like to sleep in her quarters and even when eating she like to stay away from the visitors. However, the male panda Da Mao is happily eating right in the open. Here’s a short video I took while Da Mao is eating. 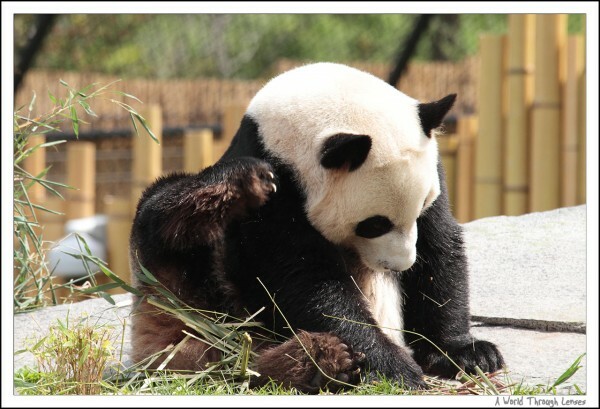 Apparently, when the panda has an itch, it likes to scratches just like a cat. After he finishes his one of the many meal of the day, he takes a stroll. And then, some nap time. Bamboos has too little nutrition value that eat and sleep is what pandas needs to do most of the day to stay alive. 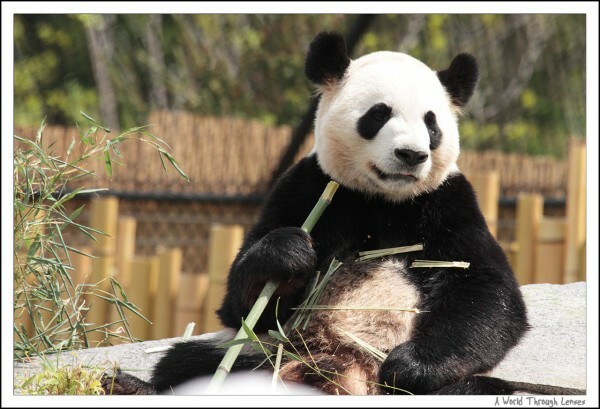 And since we are at the zoo, we visited a few very specific animals. 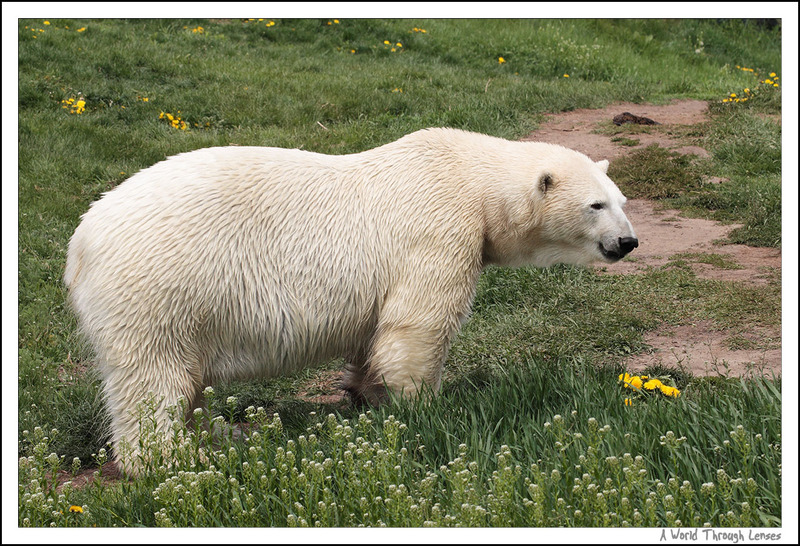 After the giant panda, we first went to see the polar bears. Two of bears are sleeping as usual. One polar bear is apparently eating grass at the back. 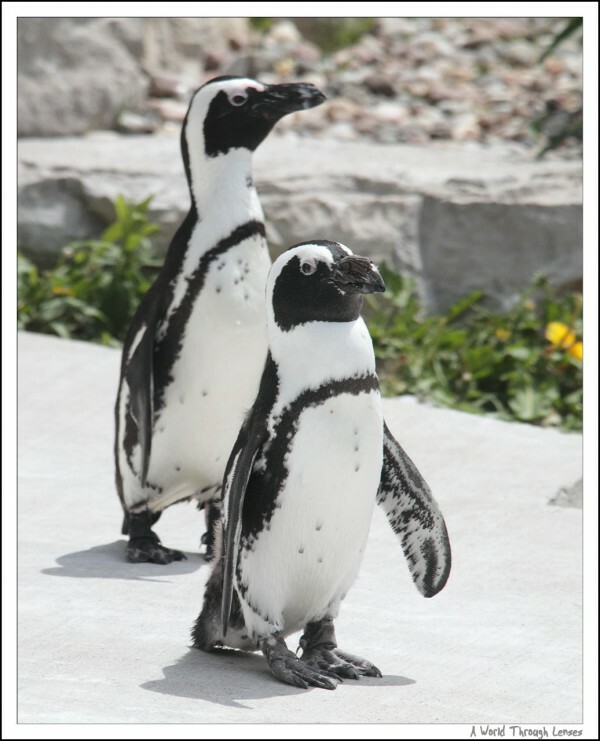 And then we visited the African penguins. 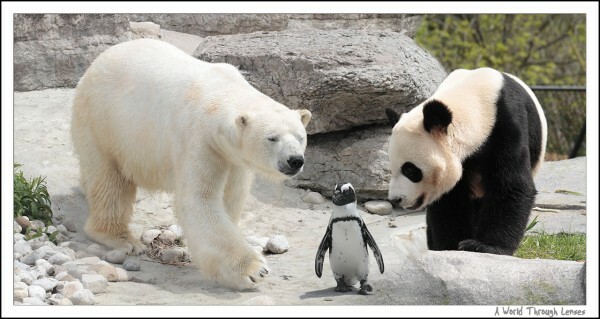 Panda, polar bear, and penguin. Well there’s a reason why we visited these animals specifically. 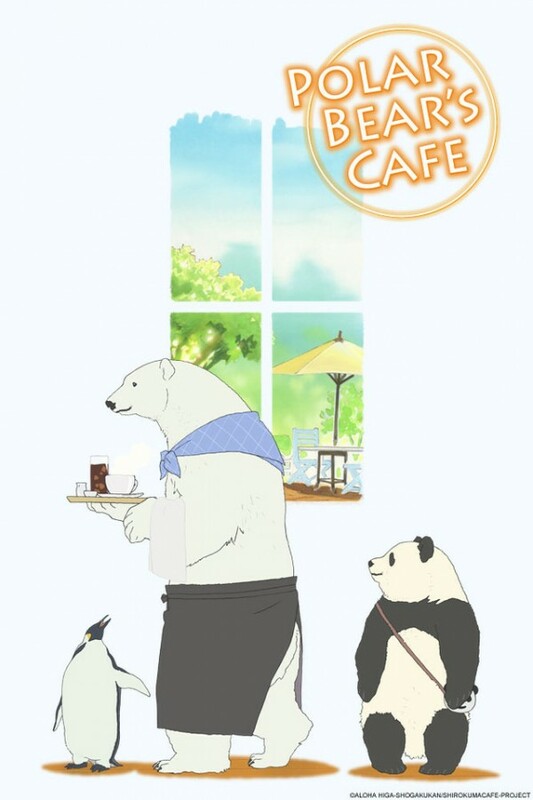 Recently we finished watching the anime Polar Bear’s Cafe. 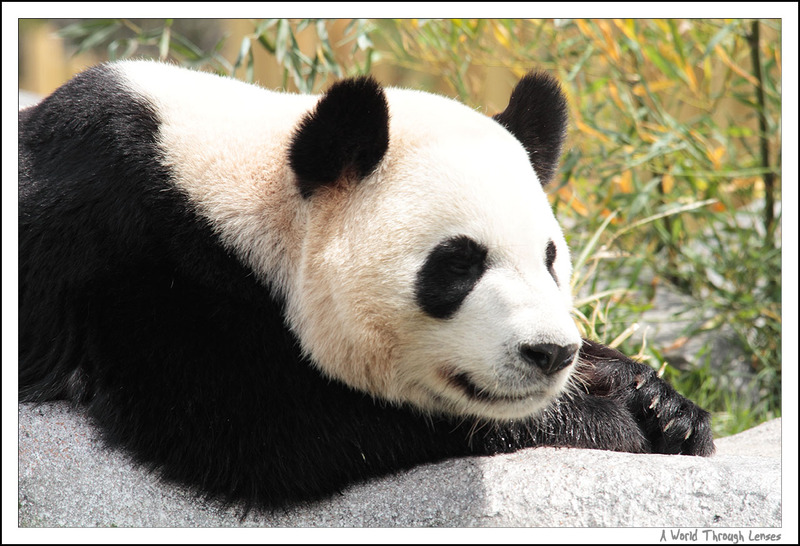 The show’s main characters are a polar bear, a panda, and an emperor penguin. And since Toronto Zoo only have African penguins, it will just have to stand in as a substitute for the emperor penguin. 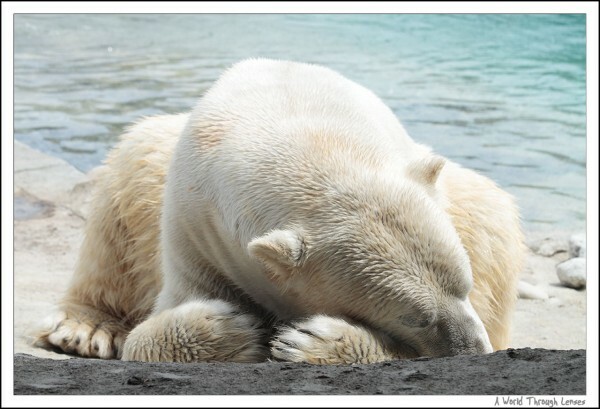 So here after some Photoshop magic, our real life Polar Bear’s Cafe. Okay in this case, I have to say that the anime trio looks better. I love the Photoshoped Polar Bear’s Cafe picture from zoo. Is there a way for me to purchase a copy from you? I’m not sure it would be economical for me to delivery a copy these days since online prints are so cheap no.